Raven Software has been working with Infinity Ward on Call of Duty: Modern Warfare Remastered since early last year, David Pellas, Raven Studio Direction, confirmed. I believe, it was early last year. I don’t want to say the wrong month, but it was definitely early last year. 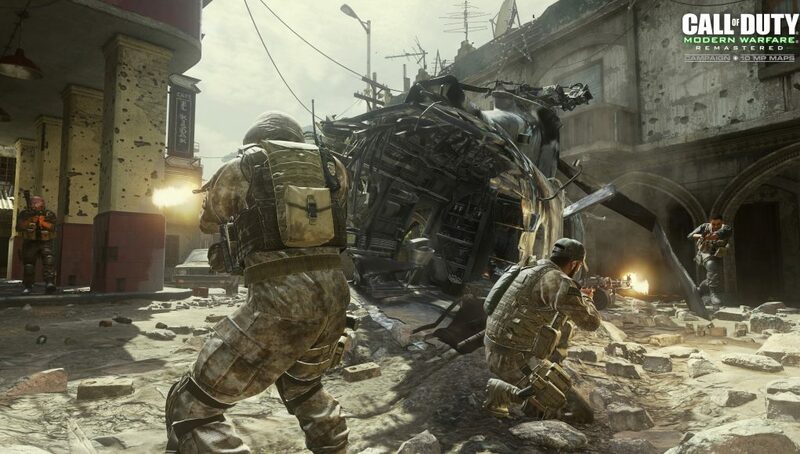 This time was one of Raven’s first as the lead studio on a Call of Duty game that launches worldwide. The team is lead right now on China’s Call of Duty Online game. Being the lead studio, it is a very special feeling that you are either going to be your own worst enemy or best friend. But it also allowed us to understand how important a partnership is. Pellas said Raven Software has formed a great partnership with the team at Infinity Ward. They have been collaborating since Call of Duty: Modern Warfare 3. He said that Raven Software always was going to add the additional 6 maps, but there were 100% committed to the 10 maps at first, which is why the game was announced that way back in May. Raven wanted to make sure their visual bar was set and that they could achieve that regardless of the time available, since they had to ship this day and date with Infinite Warfare. It was always the intention. So what happened when we first started on this project, one of the first thing we had to do was establish the visual bar that we were going to hit for this remaster. The team really did a deep dive and were able to achieve that. We quickly realized that we didn’t have enough time to do all 16 maps. So we worked with our partners at Activision and we determined that we were confident that we could get the 10 maps done at the bar we wanted in that time frame, and we decided that that was what we were gonna focus on, but we had always planned on shipping the additional maps. It has also been announced that Certain Affinity and Beenox are working with Raven Software on Call of Duty: Modern Warfare Remastered. Both Certain Affinity and Beenox have been involved in Call of Duty for a while now, helping in ways that are not always announced. Infinity Ward also has the executive role of just seeing what’s happening in the development process and providing feedback on the development, but he confirmed that IW is not directly developing MWR since they are focused on Infinite Warfare. The development has been a combination of Raven, Beenox, and Certain Affinity. And Infinity Ward is a fantastic partner, but they weren’t developing the game (MWR) itself. They know what the box is better than anyone else. And the best way to think of [Infinity Ward’s] involvement is there are always there…their finger is always there…they also trust us. It took a lot of work. You’re talking about every single one of the campaign missions and multiplayer. Given that it was a little over a year, year-half development total, we needed support there. Beenox has been an active member working on CoDs for a while now, and Certain Affinity is certainly no slouch, they’ve been around for a while working on CoD too. We knew having them help us was only going to help us get to the finish line faster, which is what we’re trying to do in the time period we had. In all ways, we’re the lead studio and setting and defining that [visual bar] and moving that forward. We want to give them good direction. That’s why they’re in joining the panel. They are active members. We would never want to take any kinda thunder away from their involvement. They’re great partners. 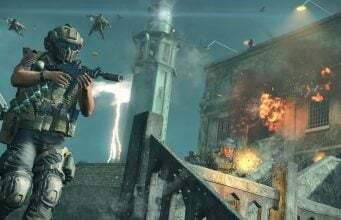 Pellas also reiterated the fact that making Call of Duty games in the time constraints they have is not an easy task, and the more help they have the better it becomes. We are not a one man show. There are no studios that does it by themselves. There’s definitely a lead studio. There’s just a realization that Call of Duty is so big and the content that we make takes so much time that we need collaboration, we need good partnerships. We are very fortunate that we all get along. We’ve actually just and still are the lead studio on Call of Duty Online. And we learned a lot there. We also learned a lot through the years working with partner studios. We know that what we didn’t like, and we know what we did like. We also asked a question about how they adjusted their development to match the 30 days early access to the campaign that PlayStation 4 players can get. He responded with the fact that Raven knew since the start of development that the incentive would exist, so they had planned around it. I mean, yeah, obviously, 30 days [posed a constraint]. But, no. Cause we knew that our partnership with PlayStation was going to continue from last year, so we knew that one of the incentives was going to be that 30 day. So we had planned for it from the beginning. It’s also one of the reasons why we made the decision to have more partners involved in it. We wanted to make sure it was rock solid.